The senator confirmed that the plant is paralyzed by internal problems such as the minimum flow of operation due to the lower volume of gas. 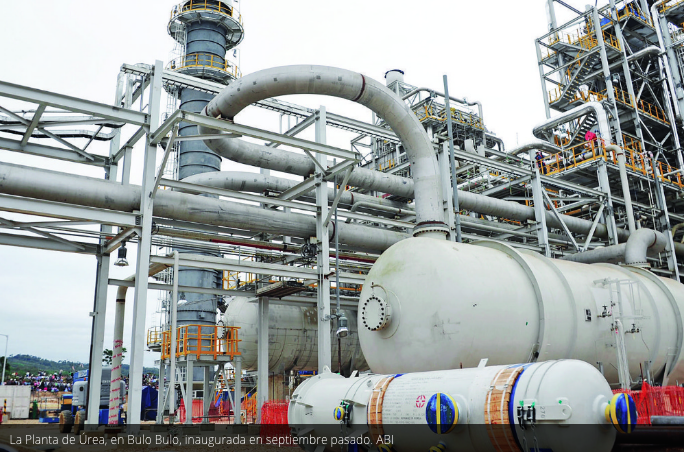 The senator of Democratic Unity (UD) Óscar Ortiz, ratified the denunciations that did on the paralyzation of the plant of Urea and Ammonia in Bulo Bulo because of technical problems that it presents due to the operation smaller than its capacity and indicated that it sent a request to President of YPFB, Óscar Barriga, to verify the state of the factory in the company of the media. “(I want) to announce that I am presenting a letter to the president of YPFB today to allow me to visit this Urea and Ammonia Plant, tomorrow [12/12/2017] or the day after tomorrow with the media and among all we can verify in what state the plant is”, Ortiz said. Previously the opponent detailed a series of problems that the factory would have, such as the minimum flow of operation due to the lower volume of gas it receives, the lack of ammonia production due to a perforation of its tank and the inability to sustain a continuous production through the lack of markets. Ortiz also warned that the guarantee of the company in charge of putting into operation the plant of Urea and Ammonia, Samsung Engineering Co. LTD, is at risk because the operating requirements establish that it must operate at a capacity greater than 70%. that it was not complied with, besides that, according to the senator, the South Korean company would also be requesting an extra payment of around 100 million dollars. Regarding the shutdown of the plant, the Government indicated that the break was scheduled to carry out maintenance tasks, a response that was questioned by the opposition, since the plant has not yet completed 90 days of its inauguration. This entry was posted in Bolivia, Business, Cochabamba, Economics, Energy, Politics, Social Unrest and tagged corruption in public office, demagogue, export market, government failures, Ochlocracy. Bookmark the permalink.